Our services include water extraction and water damage restoration. We will make the necessary repairs and replacement. We will do all the cleaning. We will ensure that the odor is removed as well. 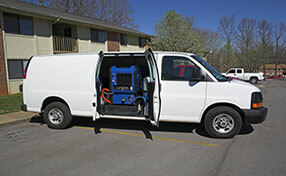 You can expect the same results from our mold removal service as well. We can handle all types of mold. We will give you clean, great looking and odor-free surfaces. Call straight away to find out what we will do to resolve your particular problem. It’s Saturday night and you are enjoying yourself with some friends at home. You are having a great time talking and relaxing with a glass of wine after a tiring week. Suddenly a jerky move spoils the moment. The bottle of wine is lying open on your expensive and handmade carpet and a red stain spreads out. It was just a small accident but your evening was ruined. You panic but you don’t have to since the professional team of Carpet Cleaning Livermore is always available and at your service. After all, life is too short to be preoccupied with such minor problems that can easily be solved by us. It’s natural that the carpets get stained, absorb odors and wear out in time because we live with them. Of course you always want them to be clean and their fibres intact by the passing of the years; you want their colors vivid and shiny as the first day you bought them. Our company can make that happen. Carpet Cleaning Livermore is in the carpet cleaning business because it appreciates the value of carpets and the importance of their maintenance. The sustenance of a healthy environment within your home, commercial business or office must always be a priority if you want to avoid unwanted allergies and asthma. The constant foot trafficking and every other activity people engage in within the private premises have negative effects to carpets just because their fibres have the tendency to sustain dirt, dust or mud. 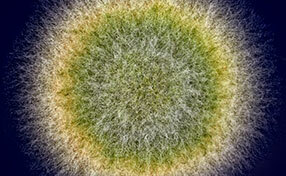 Germs, bacteria and mites find a perfect shelter amongst these fibres, where your kids play and read. Our company is equipped with the most excellent machines in the market for exceptional residential carpet cleaning services and commercial carpet cleaning services. Carpet Cleaning Livermore uses the most effective ecofriendly cleaning products and gives much attention to the uniqueness of each carpet or rug since different textiles and fibres need different treatment and special care. We are experts in stain removal of the wine you spilled, the oil of your salad, your children’s markers and any other possible and stubborn stain that won’t get off. The most significant thing in every environment – residential or professional – is the clean air. Polluted air from dust and other particles will keep circulating in the air you and your kids breathe. Ordinary detergents and casual cleaning will only work superficially and they won’t remove the mites and the germs that pollute the air you breathe. You need professional attendance and professional carpet cleaning in order to be sure that you have a nice and healthy environment. When our technicians will finish their work you will be astonished by the refreshed and happy environment of your private premises. Carpet Cleaning Livermore has a great experience in the business of carpet cleaning due to the many years of hard work and a consideration to follow the last word of technology as far as its equipment and the cleaning products are concerned. We aim to serve you best because we have the knowledge as well as the willingness to learn more, as techniques always and constantly change. We are in the carpet cleaning business because we respect your valuables and we want to keep you satisfied by providing the best carpet and rug cleaning, stain and odor removal while we deodorize and sanitize your premises. You can find us in the following number – for any information or appointment. Households and businesses in zip code 94551 deserve to get effective and reliable carpet cleaning services. Our job is to provide them and we do it exceptionally well. Our skilled technicians in California use only the best tools and materials for every job. 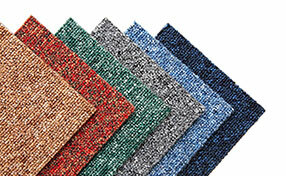 In this blog you can find smart tips for cleaning valuable carpets and rugs. One of the challenges of mold damage cleanup and repair in Livermore is water. Although not peculiar to California, moisture tends to create havoc when it comes to carpets.